The Surrey Individual Championships proved to be a triumph for Surbiton participants in three out of the four tournaments that were played. 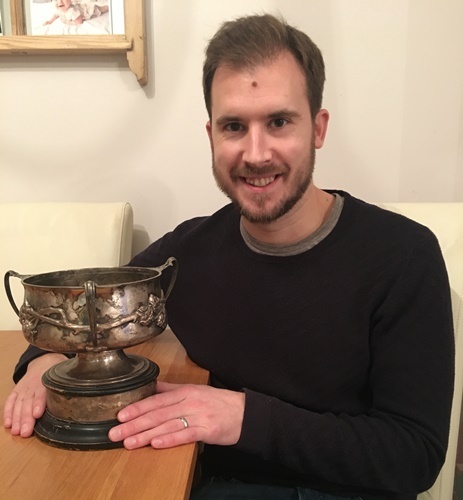 In the top section Tony Stewart (above) put in a great performance to share the Challenge Cup with Stephen Berry of Wimbledon, each scoring 5 out of 6 to top the table.To put Tony's fine achievement into perspective, Stephen (FM titled) had won the trophy on ten previous occasions! Tony made it three Surbiton wins of this title in seven years after Chris Briscoe (2011) and Paul Shepherd [yeah - I know - how did that happen???] (2015). The keenly contested Slater-Kennington Cup went to the wire. 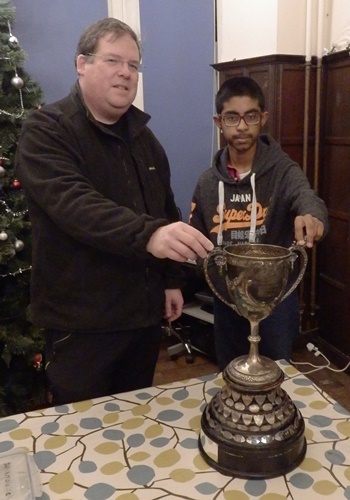 Angus James and Rajeiv Ratnesan (above) both won their respective sections with unbeaten records (honourable mention to Malcolm Groom who just missed out with Angus edging it on tie-break in his section). In the final Angus and Rajeiv could not be separated and so they shared the trophy. Rajeiv became the seventh different Surbiton player to get his name on the trophy in seven years! Outstanding! Angus clocked up his second Slater-Kennington title, the first one being in 2011. 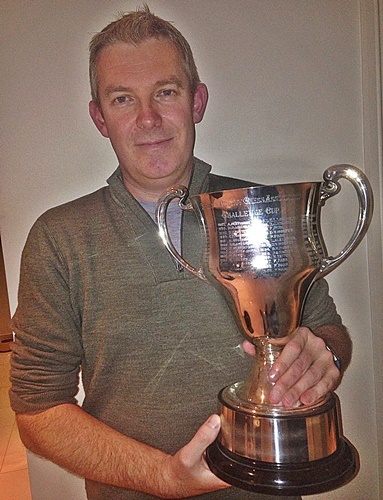 Last but definitely not least was Dave Cole (above), a much more rare win by a Surbiton player of the Wernick Cup. Dave did not mess around and won all of his games in the all play all. You simply cant ask for any more than that! Before we get regretful that a Surbiton player did not win the remaining competition, the Felce Cup, to make it a clean sweep, we ought to remind ourselves that none of us entered that section! You have got to be in it to win it! Maybe next year. Many congratulations to all of the Surbiton players who did so well in the Surrey Individuals 2017.